Inspired by a passion for architecture and the French art of living, the Evok Hôtels Collection is taking a new approach to luxury. Instead of following fashion, this Group puts excellence before ostentation. Created by Pierre Bastid in 2013 and managed by Emmanuel Sauvage, Evok is a collection of four distinctive living spaces. 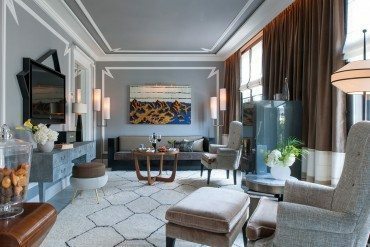 Open to their neighborhoods and immediate environment, each leading-edge, exceptional and inspired establishment is tailor-made by leading French interior designers. All are dedicated to creating emotion and to making life more beautiful, fascinating and intense for guests. The stunning buildings selected by the collection – Haussmannian, neo-industrial and 1930’s – convey its distinctive personality. 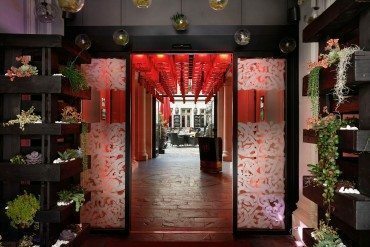 In Paris, the group opened its first establishment, the Restaurant du Palais Royal, last June amid the gardens of the Palais Royal. Serving quality cuisine, and with a real attention to service and detail, this contemporary, elegant and truly Parisian restaurant designed by Christophe Tollemer invites you to enjoy a unique experience in relaxed surroundings. 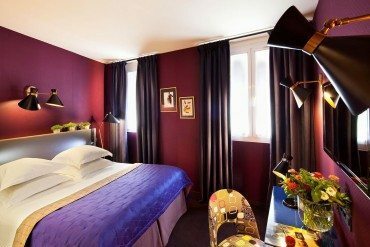 Entering from the rue de Valois and the garden side, diners will also feast their eyes on the works of the artist Pierre Roy-Camille, in a décor featuring black ceilings contrasting with natural oak furnishings and golden linen-colored walls. Philip Chronopoulos – formerly the chef at Joël Robuchon Etoile, awarded two stars in the Guide Michelin – and his team are dedicated to ensuring guests enjoy a moment of emotion and much more. 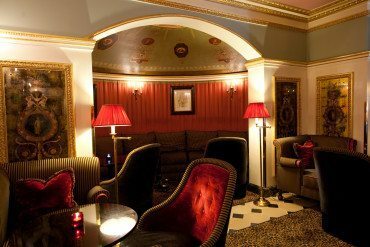 The menu pays tribute to authentic French cuisine artfully made using the finest produce. It will certainly be appreciated by diners! Next winter, the Evok Hôtels Collection will reveal its first project in Courchevel, the Hameau de la Voilière, in its entirety. 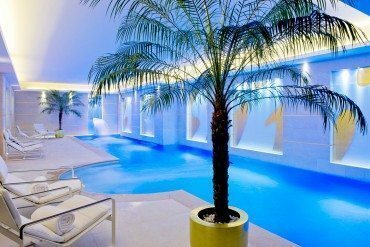 These three luxuriously decorated chalets, each with its own swimming pool and spa, are managed by the Evok Hôtels Collection and marketed by Cimalpes. 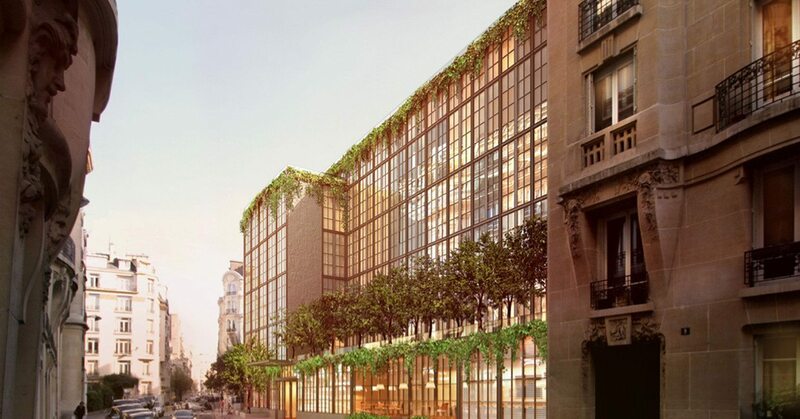 The Nijinski Paris, a five-star hotel on avenue de l’Opéra designed from top to bottom by French interior designer Jean-Louis Deniot, will open in 2016. 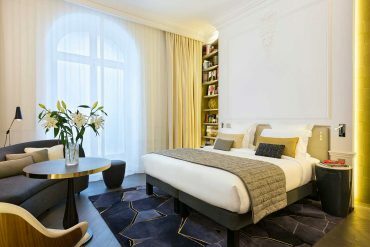 This Haussmann-style hotel will have 45 bedrooms and suites, as well as a brasserie with a twist – La Réjane. In 2017, Evok Hôtel Collection is set to make waves with its signature project, Kross Paris, by Philippe Starck. 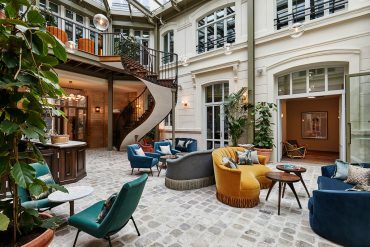 This future luxury establishment housed in a former post office in the 16th arrondissement is far from your traditional hotel. With its large restaurant, takeout pastry counter and sports club with a 30-metre swimming pool, it will be open and dedicated to customers from the surrounding area. 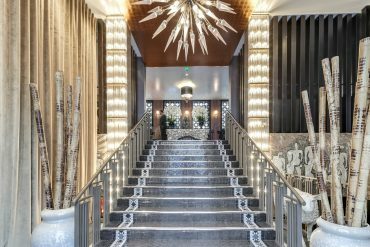 Within a few years, you’ll also be able to enjoy this tasteful and ambitious hotel collection in other large international cities including New York and London.